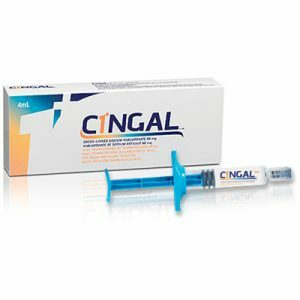 A more concentrated solution compared to Fermathron Plus. The origin of this product is Europe. How does Fermathron S work? 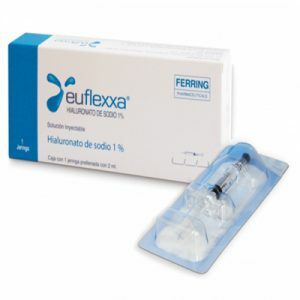 Fermathron™ is a viscosupplement containing sodium hyaluronate used for injection into the synovial joints of patients with mild to moderate osteoarthritis. It can also be used to treat traumatic or degenerative changes to the synovial joint. Fermathron™ is made up of highly folded, long chained molecules of hyaluronan in the form of sodium hyaluronate. It is made using a patented process of continuous fermentation of the natural bacterium Streptococcus, which gives off a highly purified end product. The sodium Hyaluronate in Fermathron is highly biocompatible as it is chemically the same as hyaluronate within the body. As soon as the Fermathron solution is delivered into the synovial joint, it begins lubricating and performing its shock absorbent activities. 69mg/2ml sterile 1% (w/v) Sodium Hyaluronate in phosphate buffered saline. 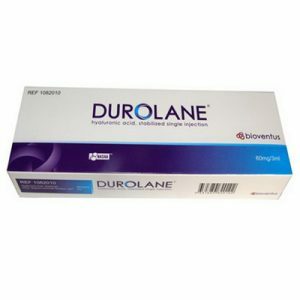 1 x 2.0ml pre-filled sterile glass syringe packed within a blister packet. What are the benefits of Fermathron S? How is treatment carried out? 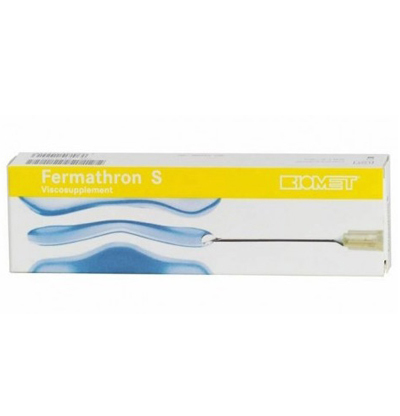 Fermathron is injected 3-5 times on a weekly basis into the synovial compartment. 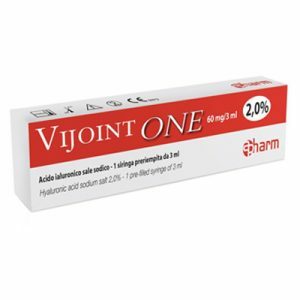 For more severe osteoarthritis treatment to treat more traumatic joints, 5 injections is normal. The site of injection must be clean as well as infection free and disease free. Antiseptic can be used to present the site free from contamination. The skin must be dried prior to treatment. Clean the skin around the injection site with antiseptic and allow to dry before the injection is given. 5 injections a week can help patients be symptom free for up to 6 months.